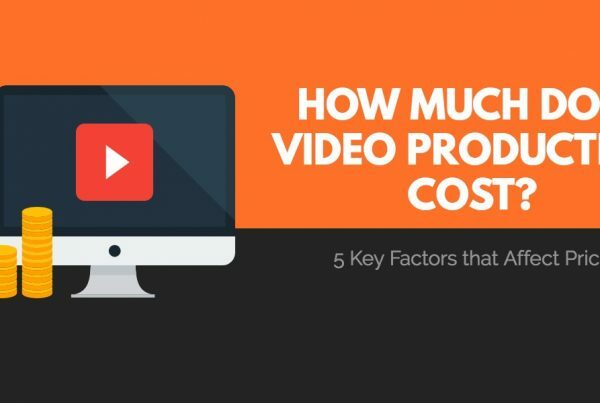 The cost of creating videos continues to decrease. Meanwhile, social video apps like Snapchat and live video tools are changing behavior by lowering the barriers to entry for shooting video and feeling comfortable on camera. As a result, more businesses are looking to do more videos in-house. This will likely mean setting up a DIY video production studio and building an in-house team. Sound daunting? It doesn’t have to be! 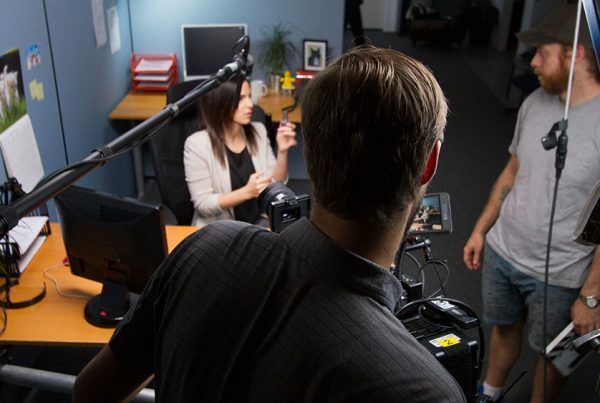 We’ve got some tips to help you set up an in-house DIY video production studio for your business. You don’t necessarily need a dedicated room and in fact, it might be nice to have your office or facilities in the background, provided it’s somewhere relatively quiet. If you’re able to film outside of office hours, your options are likely much greater. 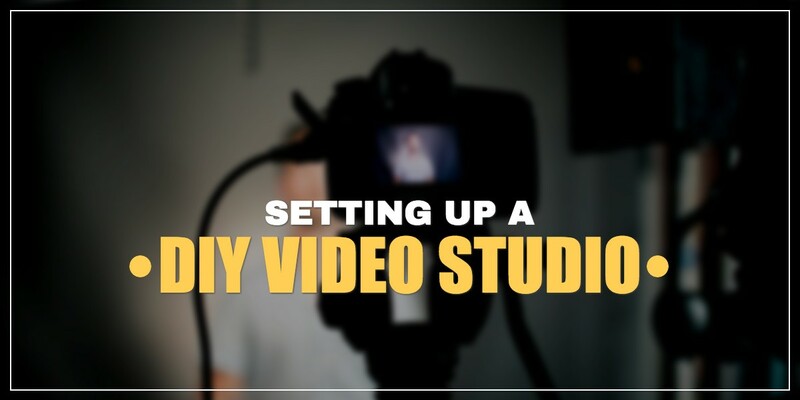 No matter where you film, it’s best if you’re able to leave the equipment permanently setup to make it as quick and easy as possible to begin filming. The key to producing videos in-house consistently is to remove as many barriers as possible. The first thing you’ll need is a camera, and the best camera is often the one you already own. You can use an iPhone, but consider at a minimum a DSLR like a Canon 5D. There’s a good chance that a member of your team already owns one! If you are going to buy a new camera, we’d typically recommend an HD camcorder which will be easier to use and can record for longer periods of time than a DSLR, making it great for events and longer presentations. When it comes to audio, no matter what kind of camera you use, you should always use an external microphone. 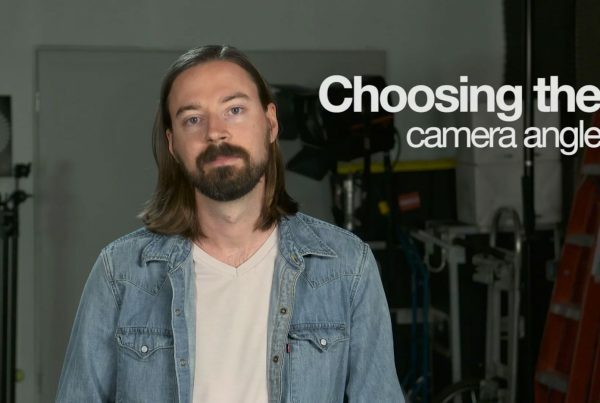 While your camera might be 10 feet or so away from your subject, using any on-camera microphone will pick up too much ambient sound and will make your videos sound really echoey. We usually recommend a shotgun mic on a stand, with a cable that you’ll run back to your camera. Now, if you did try to save money by using your DSRL or iPhone, this is where you’ll now have to buy some additional equipment. You’ll need an external audio recording device since you can’t plug a professional microphone into those smaller consumer devices. This separate audio file is then going to have to be synced up with the video during editing, which again is why a camcorder is usually the easier way to go. Lighting is something you can build on over time, but it’s a good idea to at least get a small LED panel. You can work with existing lighting from windows, but overhead lights tend to create uneven lighting and racoon eyes. Unless you are planning on showcasing your office in the background, you should invest in a paper backdrop to be used in place of filming against a wall These come in different colours as well in case you’d like to mix it up a little, for about $100 each. Start by doing an assessment of what computer equipment you already have at your disposal, whether it be a Mac or a PC. Software like Final Cut Pro and Adobe Premiere are available for both, starting at around $300. When you start getting into something like motion graphics, we recommend working with pre-built templates whenever possible – software that can help you generate these from scratch like Adobe After Effects can get pretty complicated and expensive. Now consider who will be filming. Will you be hiring a staff member for this specific purpose, or is there someone with an interest in getting training who perhaps already has some technical skills? The person who edits your videos may not be the same person who does the filming, as these are very different skill-sets. Consider whether someone on your team might already have some experience or has a willingness to learn some of the editing software, perhaps with the help of a Lynda.com tutorial series. The script is the starting point for any video. It’s not just the source material or the words that will be spoken, but should dictate the pace, the tone, and even how and what is being filmed or animated. If the script isn’t right to begin with, you’re setting yourself up for even more work and problems down the line. It’s also useful to do a ‘table read’ before filming your video, to ensure that the words written on the page feel natural and still make sense when read aloud. This will ensure that re-writes aren’t being done during filming where time may be more critical, and approvals from stakeholders are harder to get. Remember, it takes longer to read a script out loud than it does in your head, so be sure to time your table read in case your script needs to be shortened. 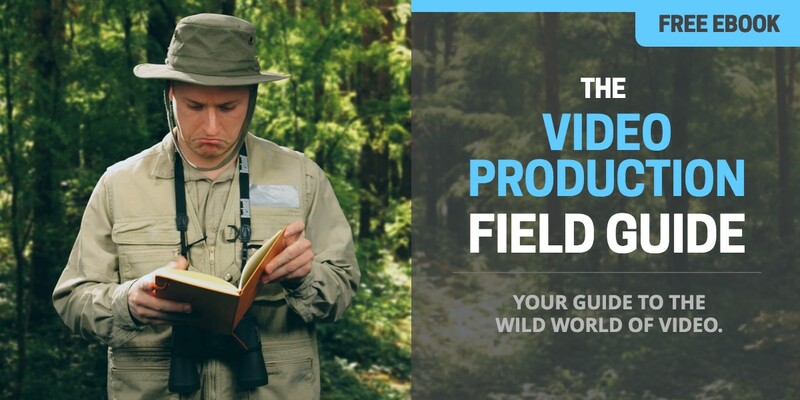 There are times when you may still want to bring in outside help from a professional videographer, editor, or video production agency like ourselves. For example, you may choose to film the videos in-house but to outsource the editing. Where many of our clients find value is in having us review scripts and to provide on-going strategic consultations. This process typically revolves around a quarterly strategy session with our clients where we can evaluate upcoming priorities to find opportunities to best use video, and then help plan an approach to either be executed by your team internally or produced with the help of our team. This is then followed-up by monthly reviews where we’ll help evaluate the performance of your videos, as well as recommend best practices when it comes to distributing and optimizing your videos. We can also help you get your studio setup, making specific recommendations on equipment purchases. We’ll help you evaluate where best to film, and can provide initial staff training as well as documenting of these processes so you can easily train new staff in the future. Motion graphics templates can be created, allowing your staff to bring these into their editing software to make minor changes to the text. 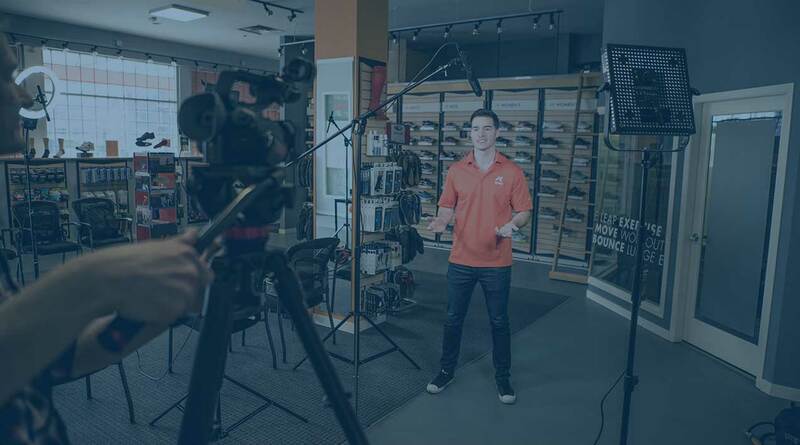 When Kintec originally approached us to discuss an on-going video marketing strategy, we discovered an opportunity to help them invest in a longer-term approach involving their own in-house video studio. Their goal was to film shoe reviews and other tips as part of their content marketing strategy, producing 2-3 videos per month for distribution on social media and in their newsletter. We found several suitable locations for them to film in one of their stores, which they planned on doing outside of business hours every two weeks. We then helped with the purchase of equipment and trained their staff on how to set up and operate their DIY video setup – all of which we documented on video of course for the onboarding of new staff in the future. What Kintec’s marketing team told us they benefited most from was the on-going consulting and support, including measurement and reporting. We’ve been able to not only provide consultation on their scripts, but also on best practices around optimization and distribution.